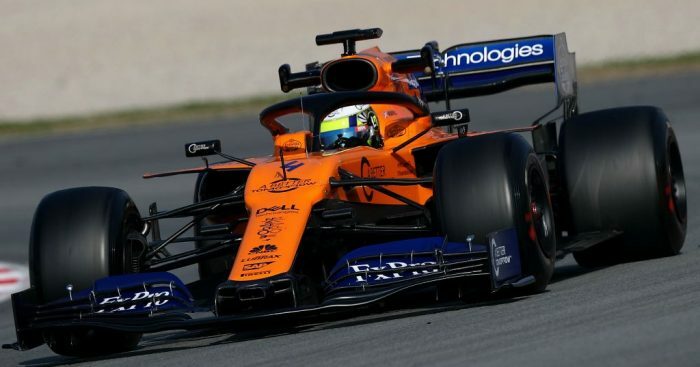 Red Bull’s technical guru Adrian Newey has said he has been impressed with the car McLaren have produced for the 2019 season. The MCL34 does appear to be more competitive than its predecessor, as seen at the Bahrain Grand Prix when Carlos Sainz was challenging Red Bull’s Max Verstappen before the pair came into contact with each other. Newey was very interested in taking a closer look at McLaren’s 2019 challenger and did so with notebook in hand on the grid prior to the Bahrain race. And, speaking on Natalie Pinkham’s ‘In The Pink’ podcast, Newey was full of praise for McLaren and what they have managed to produce at the factory. “McLaren have obviously had a rough couple of years in terms of probably their chassis not being as good as it could be but they have turned it around this year,” Newey said. “That’s good for the sport. “I think they’ve produced a good car, for sure, which should certainly give them a much better season than they had last year. Ahead of round three in China, McLaren have eight points on the board in the Constructors’ standings thanks to Lando Norris’ P6 finish in Bahrain.